In partnership with London Wine Fair, WSET is bringing you the Education Zone with the aim of making sure your knowledge is top-notch, and helping you do your job even better. We will be putting on a series of 45-minute masterclasses to improve your product knowledge and take a look at industry career routes. These sessions are first come, first served, so simply turn up, and keep an eye out for the schedule, soon to be published. Futhermore, we are bringing our hugely popular Top of the Class Challenge to London Wine Fair this year, so come along and put your knowledge to the test in this multi category, sensory quiz to see where you feature on our leader board. Take a look below at our Top of The Class session held at Nine Lives bar! Click here to register to attend London Wine Fair. With sake's increasing popularity and presence on wines lists, we bring you the opportunity to join Honomi Matsumoto to sample the valuable knowledge that students receive on WSET's Level 1 Award in Sake qualification to help demystify this complex product. With a key focus on viticulture and techniques used in the winery to improve flavour and intensity, WSET Educator Lauren Denyer from WSET School London will demonstrate how to build on your maturation knowledge in line with WSET qualifications. Combine your WSET education with expert tips from Head Sommelier at D&D London, Agustin Trapero DipWSET to learn how to use the diversity of the wine world to maximise your offering for you and your customer. Looking at three Sauvignon Blancs coming from different regions and made using different techniques, we will use the WSET Systematic Approach to Tasting to identify similarities and differences throughout. When assessing quality, what makes a wine "Outstanding" versus just "Acceptable"? This session explains how to use the WSET Systematic Approach to Tasting to make objective conclusions about wine quality. We will be offering you the chance to take the WSET School London Level 3 Award in Wines Online Entry Test* completely free-of-charge (usually priced at £25). If you are confident that you have the equivalent knowledge you would otherwise gain through completing the Level 2 Award in Wines and Spirits, and are confident you can proceed directly to the Level 3 Award in Wines with WSET School London, the Online Entry Test will confirm if you are eligible. Tests will run regularly every day throughout the show, you must register for your preferred time slot in advance. Those who pass the test successfully will receive £25 credit towards any Level 3 Award in Wines course at WSET School London in the next academic year. 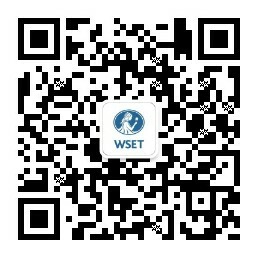 *The WSET School London Online Entry Test is only valid for enrolment on to courses at WSET School London.